Profits put into communion and later destined for EoC purposes is the 'uniform' of the EoC, a necessary condition (although not a sufficient one) to partake in the project. The first 'idea forza' (powerful idea) for the project, was to put profits in common, subdivided into three parts: for the development of the business, for cultural formation, to help those who are indigent. Businesses that adhere to the EoC give equal importance to each of these parts, and every year, they distribute their profits according to this criteria. 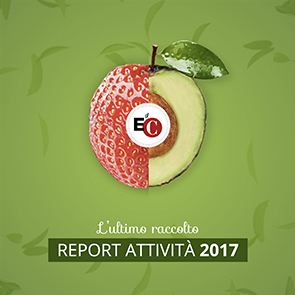 From 2008, an 'EoC Report' is prepared each year with information on how the profits of these businesses have been distributed. The EoC reports are available here. The EoC is based on the conviction that, without a new culture, a new economy cannot be created. Economic behaviors are always the result of a more general lifestyle, a global vision. That's why, since Chiara Lubich's first inspiration, a part of the business profit is earmarked for the creation of a "culture of giving", mainly through the educational facilities of the Focolari Movement (experimental cities, press, "Mariapoli Centers"). In these facilities more or less poor people educate themselves to a culture of reciprocity, essential to make communion their ordinary lifestyle. The first goal of the EoC is fighting misery (we prefer not to call it "poverty") as a way to build a more Comunione_utili_indigentijust and brotherly world. The EoC proposes to people who are in economic distress or in any form of poverty (concerning education, civil rights, etc.) a helping hand based on the subsidiarity principle and, most of all, on reciprocity. The "poor" is first offered a new relationship, then material aid steps in. The first care is the relationship itself. The EoC indeed is not meant to be a project of assistance, but a project where by the community solves its own problems, "subsidized", helped by the profits of the companies. For the outlining and implementation of the aid projects the EoC collaborates with AMU, a NGO which has been working in the field of development for more than 20 years. The EoC is not an emergency project, neither a fund raising one. It aims at the development and growth of the company, in a way that it may continue to create wealth, goods and services, and jobs. Offering a job, especially in the most poor countries, is a deep way to foster development. The EoC is not contrary to any form of company (from individual ones to corporations), but it reminds them their vocation of creator of human development, and common wealth.